UP NEET Counselling 2018: The government of Uttar Pradesh has announced the notification for UP NEET Counselling which is going to be started from 20th June for admission in various MBBS/ BDS courses in the medical colleges of UP. Therefore applicants who have secured a valid rank in NEET 2018 Result are called for the counselling process. The UP NEET Counselling Procedure includes a number of subsequent steps such as registration, choice filling, document verification etc. Apart from this candidates can also get here details of NEET Cut off marks along with UP NEET Merit List 2018 and get precise information about the counselling process. 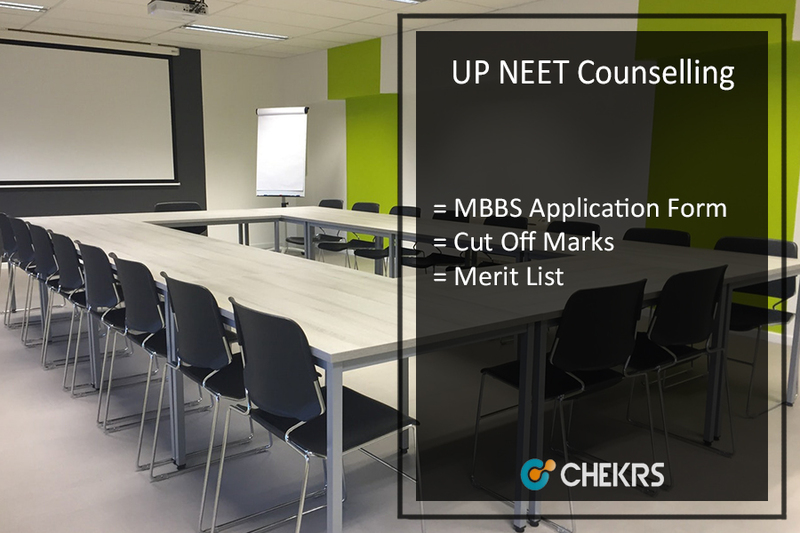 All the aspirants who are seeking for UP MBBS Admission and have successfully qualified the NEET 2018 must attend UP NEET Counselling 2018 which is going to be conducted in two rounds. Counselling will be conducted for all Government and Private Medical Colleges of Uttar Pradesh. Therefore eligible candidates who are seeking for admission must fill UP MBBS Application Form for the purpose of admission. Therefore candidates who are shortlisted for counselling must go through the process of UP NEET Registration 2018 to attend the counselling. The registration process for 1st counselling has already started from 5th July and applicants who fail to register will not be allowed to appear in the Uttar Pradesh state counselling. Candidates attending UP NEET 2018 Counselling must keep track of the counselling dates. Therefore below we have provided the details of UP NEET Counselling Schedule for each of its events. Candidates must upload the scanned passport size photograph and documents. Candidates need to fill the choice of their course and college as per their preference. After the final choice made, applicants must lock their choice. Candidates need to go through the document verification round after the choice filling process, where they need to bring their original documents along with a set of photocopies. After the final choice filling option, candidates will be allotted their seat on the basis of merit, category, and choice. 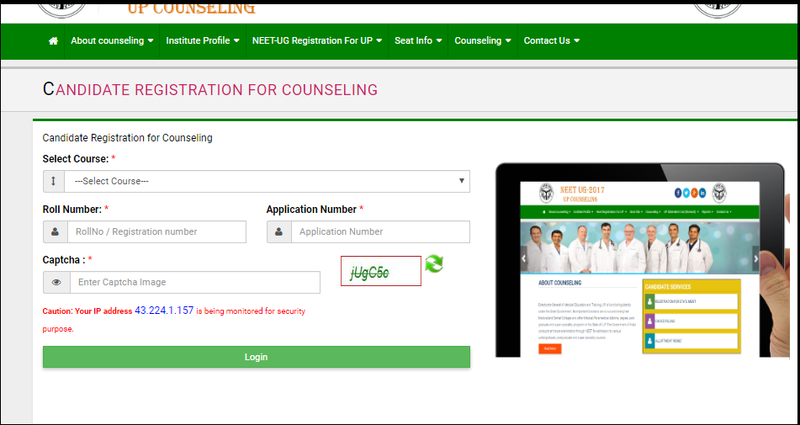 To check the results of UP NEET Seat Allotment, candidates need to log into the official portal. The authority will declare the result through its portal. If candidates accept the seat then he/ she must make a payment of Rs 20,000 only for government college institutes and universities and 2,00.000 for private colleges, institutes, and universities. The candidates will be conducted in two rounds and applicants who were allotted seats in 1st counselling can also opt for 2nd counselling in order to reshuffle their seats. Every year a huge number of applicants appear in NEET, making the competition quite tough. Therefore the UP NEET Cut Off is going to be high this year. Therefore aspirants who want to get MMBS admission in UP govt colleges must meet the required cutoff. Below we have provided the UP NEET Expected Previous Year Cut Off as per various category.